Effortlessly update your living room with perfect casual comfort by adding this stationary sofa to the decor. 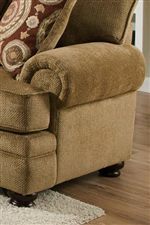 The piece features large rolled arms, bun feet and accent pillows provide the perfect detailing. 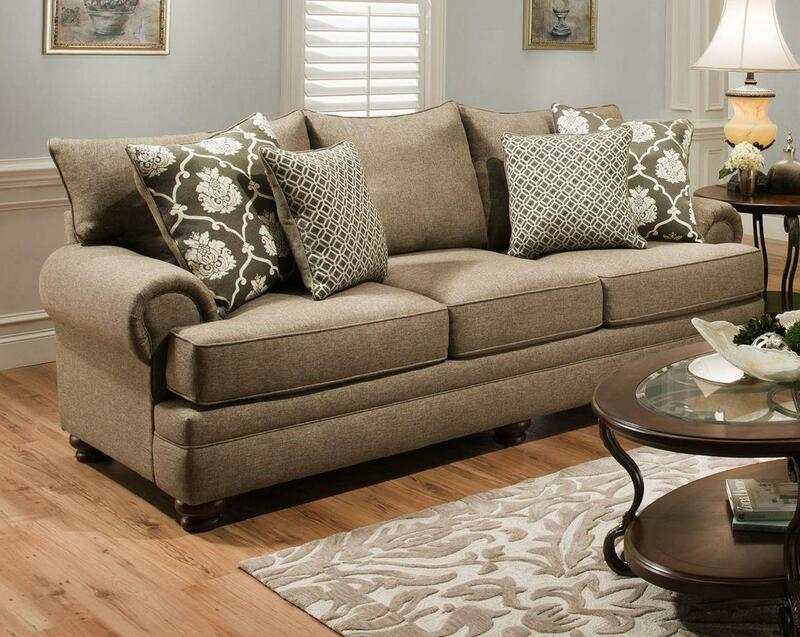 With an easy sense of style, this attractive sofa will make a welcomed addition to your home decor. The 8645 Traditional Stationary Sofa with Oversize Rolled Arms by Albany at Miskelly Furniture in the Jackson, Pearl, Madison, Ridgeland, Flowood Mississippi area. Product availability may vary. Contact us for the most current availability on this product. The 8645 collection is a great option if you are looking for Traditional furniture in the Jackson, Pearl, Madison, Ridgeland, Flowood Mississippi area.